By now, I am sure many of you are seeing in your Google Analytics account an action button at the top to "Google Signals." Google Signals lets you (and of course Google) track signed in users across devices, be it multiple browsers, mobile apps, mobile devices and more. 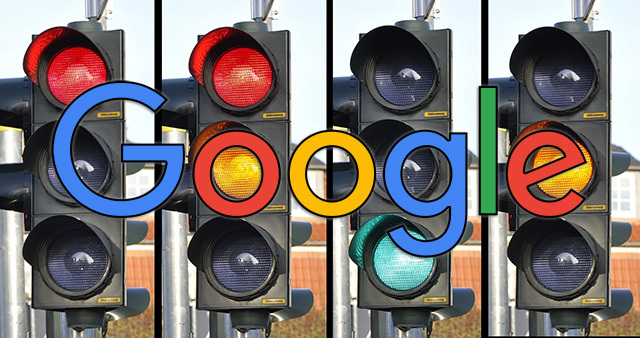 Google says this allows "advertising Features are being enhanced to help you better understand your customers across devices using Google's signed-in data. This new setting upgrades your existing Advertising Features controls and enables." Google is beta testing a new Google Analytics feature named Google Signals. It lets you track and report on your visitors across devices. New Cross Device capabilities: Including new Cross Device reporting and remarketing. More insights using Google data: Provides deeper insights on your customers using Google data such as enhanced Audience and Demographics reporting. 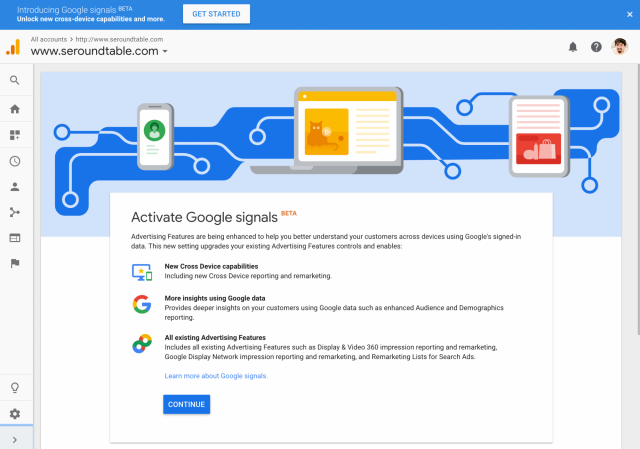 All existing Advertising Features: Includes all existing Advertising Features such as Display & Video 360 impression reporting and remarketing, Google Display Network impression reporting and remarketing, and Remarketing Lists for Search Ads. For more details on how this works and how to activate it, go to this Google help document.